Cartagena, a beautiful port city nestled in the Caribbean coastline of Colombia, is now becoming known as Colombia’s hidden jewel - a destination that saw a 19% increase in foreign travel visits in 2017. Further, Colombia as a country, has also experienced a huge increase in foreign visits (up 24.7%) with more than 3.2 million foreign travelers coming to Colombia in 2017. 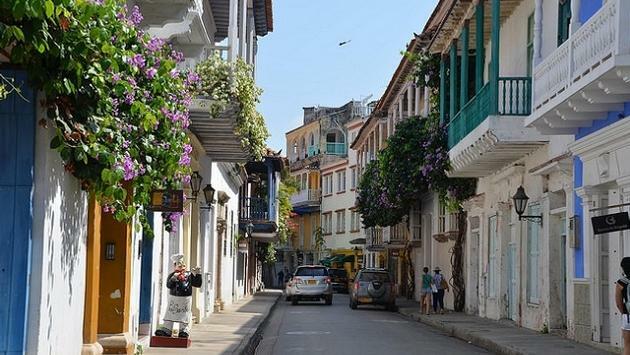 Canadian travellers are amongst the growing foreign tourism population in Colombia and there is no doubt that Cartagena will soon be a primary target for Canadians planning a trip to South America. TravelPulse Canada recently visited the country and found getting to Cartagena has been made even easier thanks to Copa Airlines who offers 5 weekly flights from Toronto and 4 from Montréal via Panama to Cartagena and 175 weekly flights from Tocumen International Airport in Panama City to 8 destinations within Colombia. “Our partnership with ProColombia is very important and the frequency of flights into Colombia are testimony to a destination rich in architecture, arts and culture, culinary, and fantastic beaches. Canadian travelers are eager to explore Latin America and Copa Airlines makes getting there much more accessible to Canadian visitors," said Fernando Fondevila, Regional Commercial Manager North America, Copa Airlines. On arrival, ground transportation is easy with Contactos SAS (a local DMC). Contactos is available to assist with all transportation needs, tickets for attractions, event planning, etc. within destination. Further, walking tours in the walled city, tastings, sailing activities, and all of the hotels mentioned above (commissions available for hotels) can be booked through Contactos as well. They are a one-stop shop for travel agents in Canada when it comes to booking Cartagena vacations for clients. TravelPulse Canada got a first hand look at some of the city’s beautiful boutique hotels, that worth checking out. Tcherasii Hotel and Spa - is located in a beautifully restored colonial building within Cartagena’s walled city and was designed by famous Colombian clothing designer Silvia Tcherasii. The hotel itself is the perfect combination of casual luxury and modern design while also highlighting nature’s beauty. Both Conde Nast and Travel and Leisure have deemed Tcherasii Hotel and Spa to be one of the best in the world, and even has Vogue referring to it as “the chicest spot for the fashionable to flock”. The hotel has a great rooftop pool with a handful of cabanas as well as a bar and restaurant area - all of which have incredible views of the city. Breakfast is complimentary with your stay and rooms are extremely comfortable and well designed to allow for amplified natural light and privacy. Hotel Casa San Agustin - this jaw-dropping, beautiful, Virtuoso certified, boutique hotel is the ultimate place to stay for anyone looking to bask in the lap of luxury while in Cartagena. The hotel is located in the heart of the walled city and spread across three exquisitely restored XVII century Colonial homes. The hotel is comprised of 31 rooms (ranging from 400 - 1800 sqf), 11 of which are spacious suites - 2 of which are Duplex Suites that are perfect for families. The hotel also has a Hammam Spa on site and offers complimentary bicycles, mini bar (replenished daily), breakfast, and cocktails and coffee in the library every day. Hotel Case San Augustin was recently rated the #1 hotel in Colombia for 2018 and received TripAdvisor Travelers Choice Awards. Las Islas - this newly opened island hotel is only accessible via boat or helicopter and is perfect for the eco-centric traveler looking for a quiet and secluded vacation. 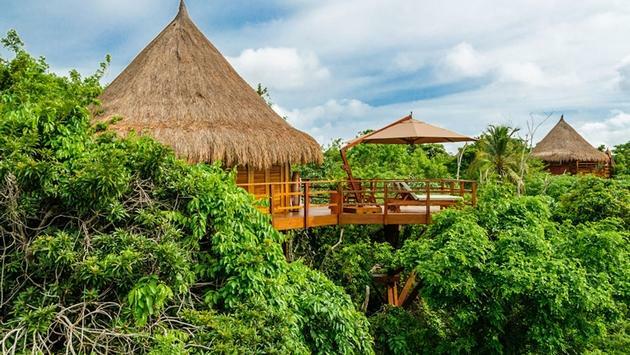 Nestled in the mangroves of the island of Baru - a 45 mins boat ride from Cartagena - the hotel offers two types of accommodations, beach side cabanas and tree house villas. Both types of accommodations are beautifully decorated and come with either an outdoor jacuzzi or natural saltwater plunge pool. They also have a wonderful spa, complimentary breakfast, two restaurants, a beach, and is home to a variety of different bird and wildlife species.